On April 27, KCU introduced a new Med Student for a Day program designed for local middle school students. The event replicates KCU's established initiative for high school students and demonstrates what it's like to attend medical school. Approximately 30 sixth- to eighth-grade students from Scuola Vita Nuova and Crossroads Academy visited KCU's campus to participate in this special program. 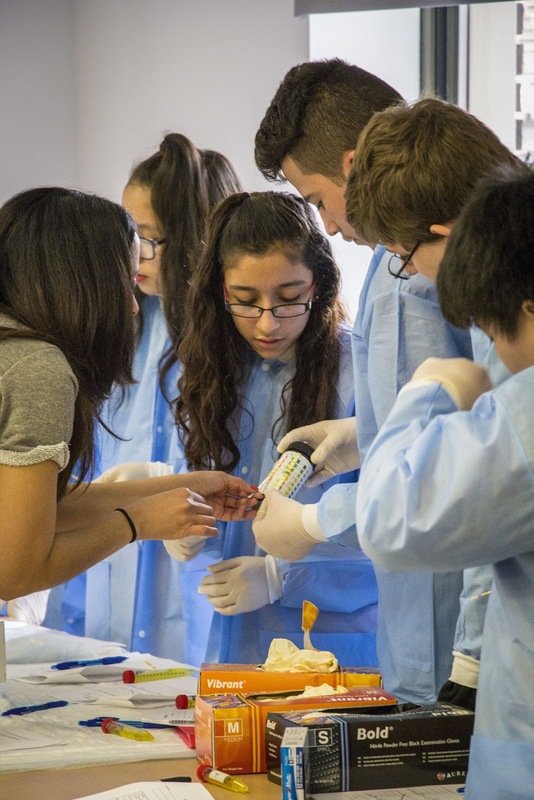 Med Student for a Day provides a hands-on experience that introduces Kansas City's youth to the idea of medical school early on to spur interest in a medical career. KCU hopes to expand this program in the future, holding one program per quarter.